7 p.m. Shoal Centre, 10030 Resthaven Drive, Sidney, B.C. Tickets $10 (including refreshments) at Tanner’s Books and online. 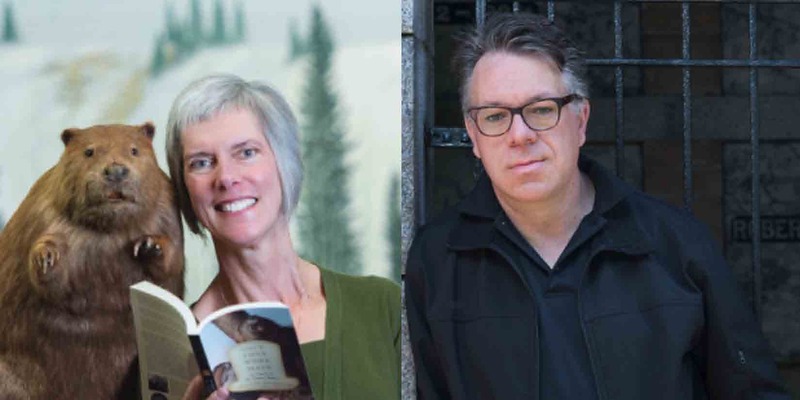 All proceeds from ticket sales will go to support the 2019 Sidney and Peninsula Literary Festival. Frances Backhouse is a freelance journalist and the author of six nonfiction books, whose writing focuses on nature, history, and the rich textures of the overlap zone. Her most recent book, Once They Were Hats: In Search of the Mighty Beaver, was a finalist for the Lane Anderson Award for Canadian science writing and the City of Victoria Butler Book Prize. In 2010, she won the City of Victoria Butler Book Prize for her previous book, Children of the Klondike. Ian Gibbs is really excited to have published his first book Victoria’s Most Haunted: Ghost Stories from BC’s Historic Capital City. He has always been fascinated by storytelling, ghosts and hauntings, and has even found himself assisting friends with their ghost problems. He lives in Victoria, arguably one of the most haunted places in Canada, where he acts as a guide for Victoria’s popular Ghostly Walks walking tours.